Very dry skin needs intense care and nourishment to help to maintain its natural moisture barrier and protect against roughness. 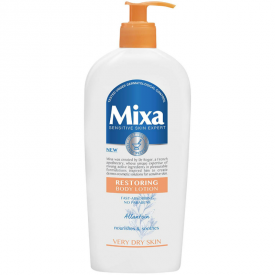 Mixa's Restoring body lotion is enriched with Allantoin and immediately moisturises dry skin leaving it feeling intensely repaired and soothed. Ultra-light, fast absorbing & non greasy formulation. 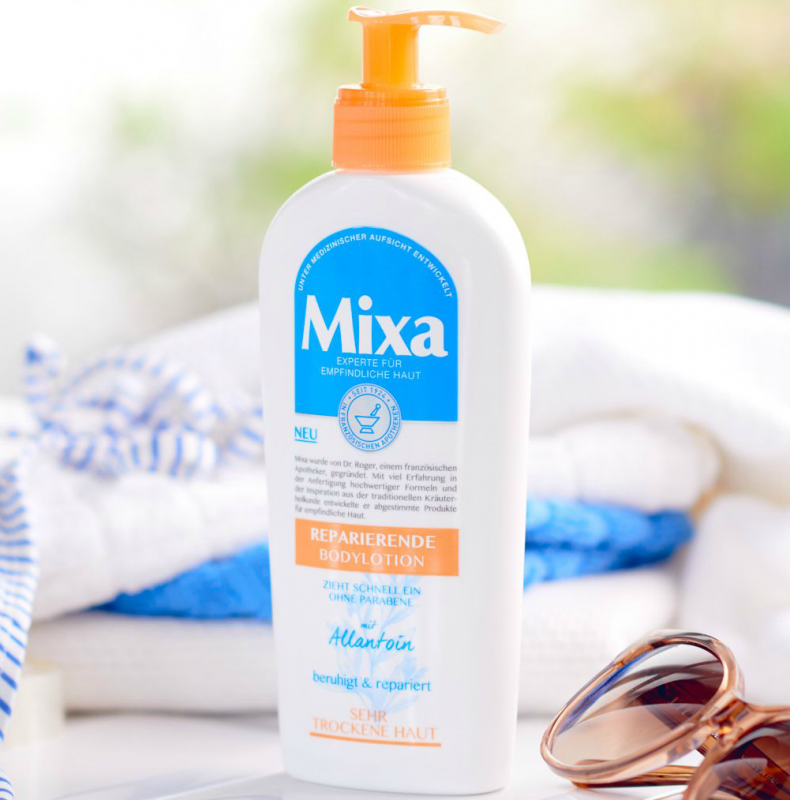 Apply every day after shower or bath, it's convenient pump helps dispense the right amount of body lotion everyday. Do not apply on the face. 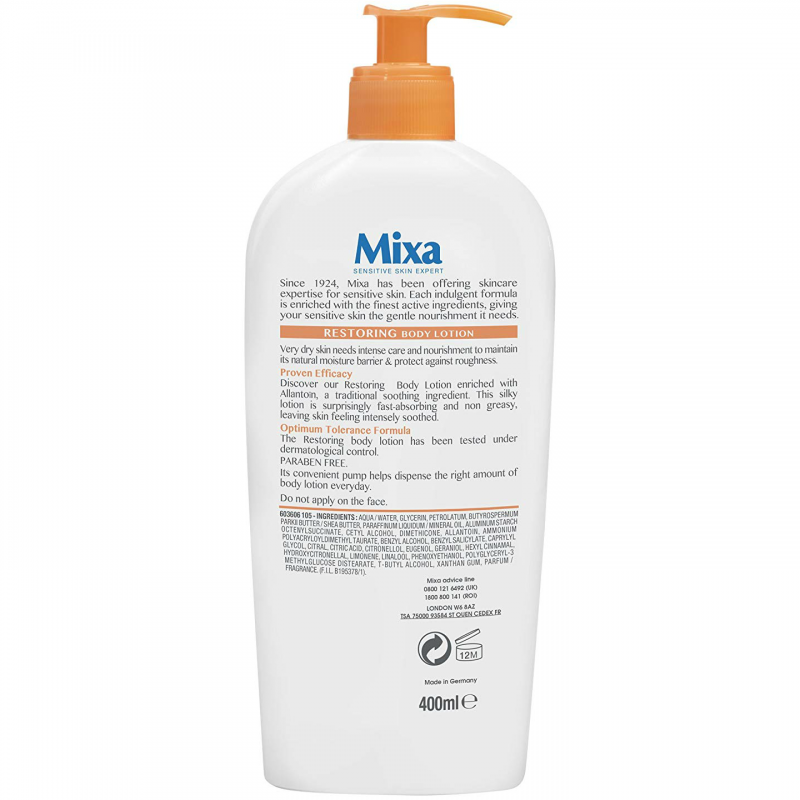 Aqua / Water , Glycerin, Petrolatum, Butyrospermum Parkii Butter / Shea Butter , Paraffinum Liquidum / Mineral Oil , Aluminum Starch Octenylsuccinate , Cetyl Alcohol , Dimethicone , Allantoin, Ammonium Polyacryloyldimethyl Taurate , Benzyl Alcohol , Benzyl Salicylate , Caprylyl Glycol , Citral, Citric Acid , Citronellol , Eugenol, Geraniol, Hexyl Cinnamal , Hydroxycitronellal, Limonene, Linalool, Phenoxyethanol, Polyglyceryl-3 Methylglucose Distearate , T-Butyl Alcohol , Xanthan Gum , Parfum / Fragrance, (F.I.L. B195378/1). 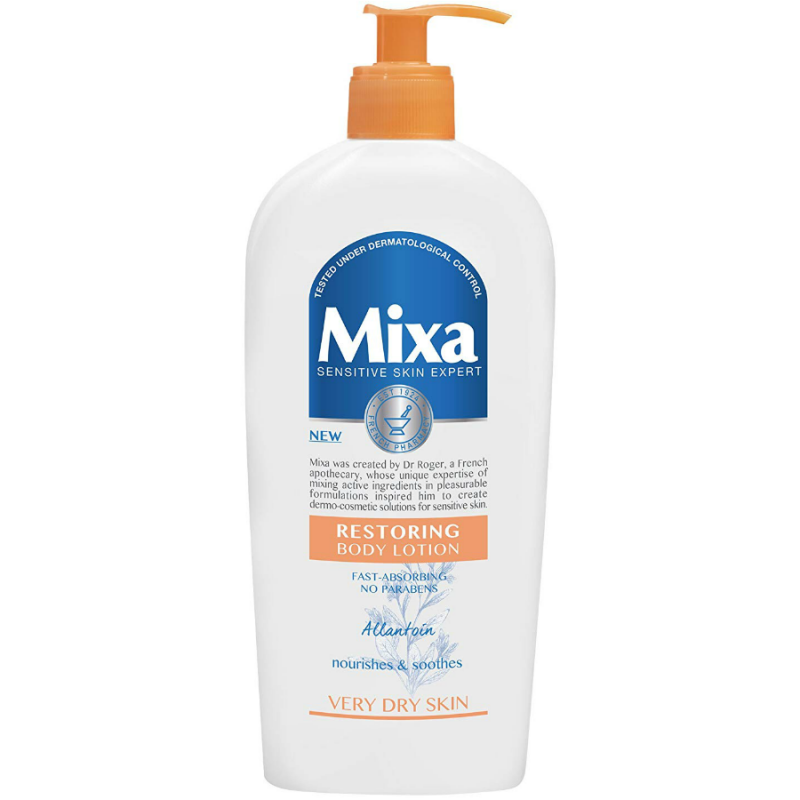 I had several hefty Mixa Restoring Body Lotion samples (7ml) to test and was greatly pleased with the results. The lotion is more a cream, since it has dense texture and isn't runny even a bit. It is also fast-absorbing and non-greasy, it leaves no film or stains after the application. It has a sharp perfumed scent which at first seems rather nice, but after it lingers for 3 to 4 hours (even after washing) on the treated places, it becomes cloying. That's perhaps the only downside that I can name with the lotion. On the other hand, I can't praise its efficiency and outcome - in about several days of constant application my elbows and heels look as though they've never been dry before - i.e. soft, moisturized, and healthy, without any dry patches. The effect of such hydration also holds for some time even if the application has been discontinued. 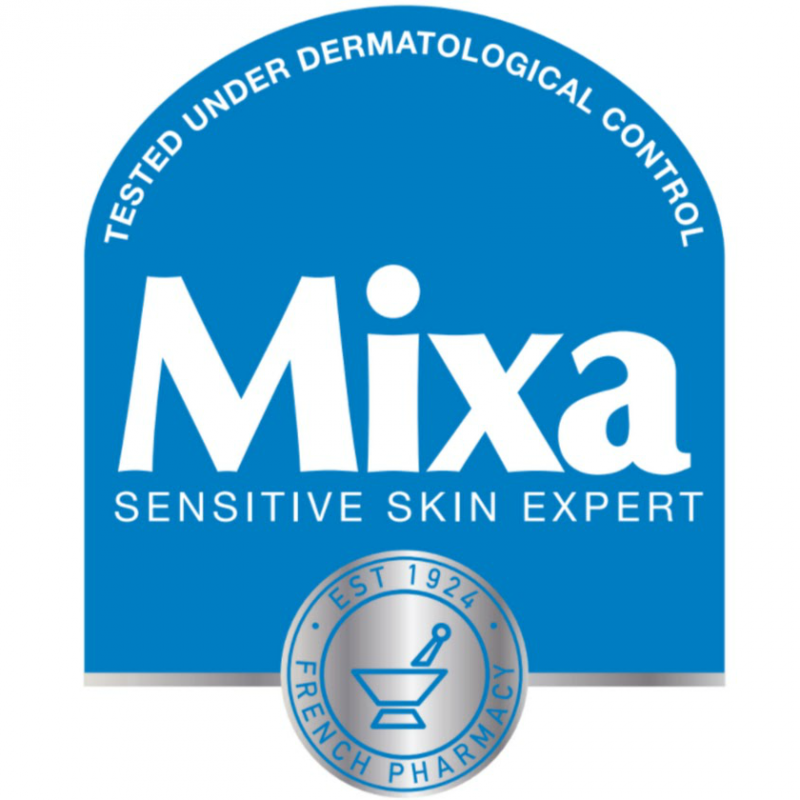 A great product that I can safely recommend!